People inhabit the built environment all day, every day. And it’s the architects who design it that keep people safe. Continuing education reinforces what’s already known and expands the architect’s horizons when new technology and knowledge emerge. That commitment to education makes every architect a vital component in the safety of men, women, and children around the world. At PDH Academy, we offer many continuing education courses that address health and safety. In fact, every course deals with safety in some way. If it’s time to earn more credits for your license renewal or AIA membership, here are a few that you can choose from. It’s a sad reality that we live in a world where terrible things often happen. But through the expertise of skilled architects, children and educators have schools that protect against violence while maintaining a positive, beautiful environment. This module provides 5 CE units and is aimed at architects who design safe schools. You’ll learn about security risk management, risk assessment, architectural and engineering design for schools and how design can protect against an attack from inside or outside. Through the Americans with Disabilities Act, the Department of justice established regulations that help make public and government buildings accessible for everyone. It wasn’t long ago when some buildings had no provisions for wheelchairs or doors that a person with a disability could open without assistance. The ADA is ever-evolving to improve access, and the 2010 Standards are the latest update. This module provides 6 CE units. It covers Title II and Title III revised regulations, the organization of new design standards and sets forth the standard’s intention of improving accessibility and regulation compliance. It breaks down why compliance is important, explains who is required to comply and illustrates the accessibility scoping and technical requirements. Part II of this module is also available. It’s no mystery, why some communities feel and look comfortable and welcoming. It’s good design. A well-planned community manages traffic, leaves plenty of open space offers a broader range of housing choices and can revitalize older communities that have lost their appeal. Nearly every aspect of community life can be realized through excellent architectural skills. This module provides 3 CE units. It explains the connection between poor design and public frustration, unsafe neighborhoods and privacy issues. It teaches that higher density breeds more opportunity for residents and that it can save a phenomenal amount of money in transportation costs. You’ll also learn the five major principles of successful dense development. Architects can affect the health safety and happiness of people in every community. It can affect the economy, too. Although poor design creates negative results, good design can work wonders. PDH Academy is an approved continuing education provider recognized by the American Institute of Architects (AIA) and state licensing boards. 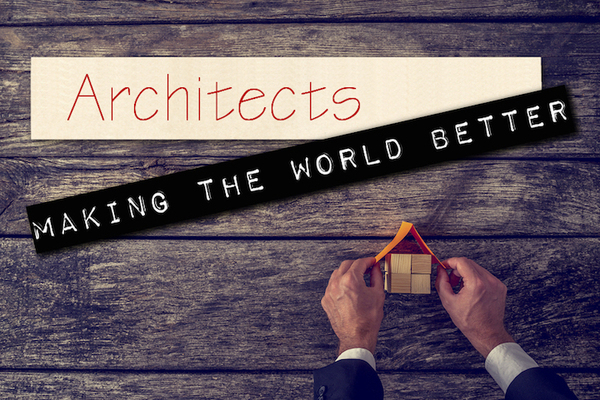 For your next professional development hours, check out our courses for architects. Your commitment to education makes the world a better place. Architect Continuing Education: Do You Need the Florida Advanced Building Code Course?